Cool Vent fabric technology is like a breath of fresh air. It�s two-way technology keeps you cool by wicking heat and moisture away from the body, allowing cool air to filter back in. Cool Vent fabric is washable and highly durable. Cut in a classic single-breasted style, this chef jacket features exquisite twin-needle detail, crossover styling with hidden snap buttons and a thermometer pocket. 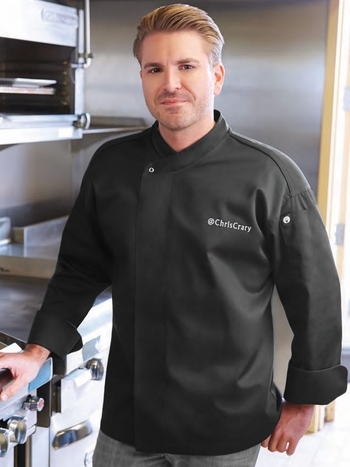 The NEW YORKER Chef Coat is manufactured in poly-cotton with Cool Vent back panel inlay.